Gaara (我愛羅) is a fictional character in the Naruto manga and anime series created by Masashi Kishimoto. Kishimoto designed Gaara as a foil to the series' titular character, Naruto Uzumaki, as the two were born through similar circumstances, but develop vastly different personalities as they deal with their troubled upbringing. 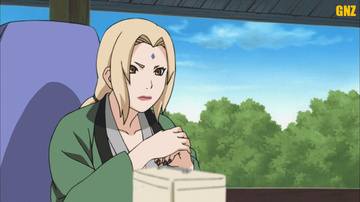 Initially introduced as an antagonist and Naruto's rival, the two eventually develop a bond as kindred spirits and become close friends as the series progresses. In the anime and manga, Gaara is a ninja affiliated with Sunagakure, and is the son of Sunagakure's leader, the Fourth Kazekage. As a child, his father attempted to turn him into a human weapon by placing a tailed beast into him, and he was ostracized by the Sunagakure villagers. As a result, he develops into a ruthless killer, slaying others without remorse, and treating his siblings Kankuro and Temari with contempt. His battle with Naruto during the series changes this outlook, and he begins to aid others in order to emulate Naruto. In Part II of the series, he becomes Sunagakure's Fifth Kazekage. Gaara has appeared in several pieces of Naruto media, including the second featured film in the series, the third original video animation, and several video games. Numerous anime and manga publications have commented on Gaara's character. IGN Anime News Network called Naruto's fight against Gaara the high point of the entire series. Among the Naruto reader base, Gaara has been popular, placing high in several popularity polls. Numerous pieces of merchandise have been released in Gaara's likeness, including plush dolls and key chains. labeled the disparity between Naruto and Gaara as "emotional" and "a tad creepy".